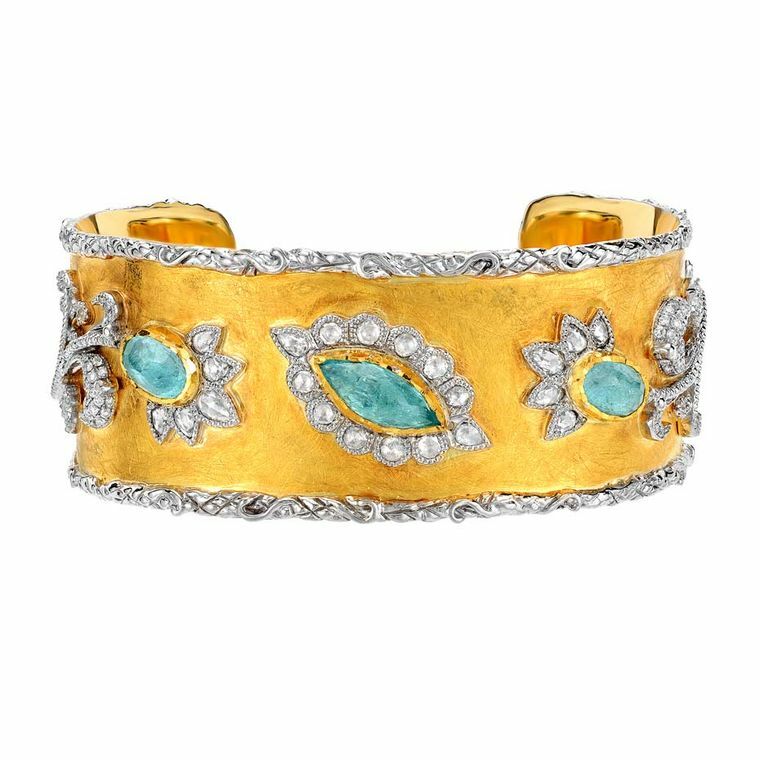 Victor Velyan jewelry: Best known for the unique patina of his jewels, Victor Velyan’s passion for rare colored gemstones and metallurgy has earned him a following of dedicated fans. 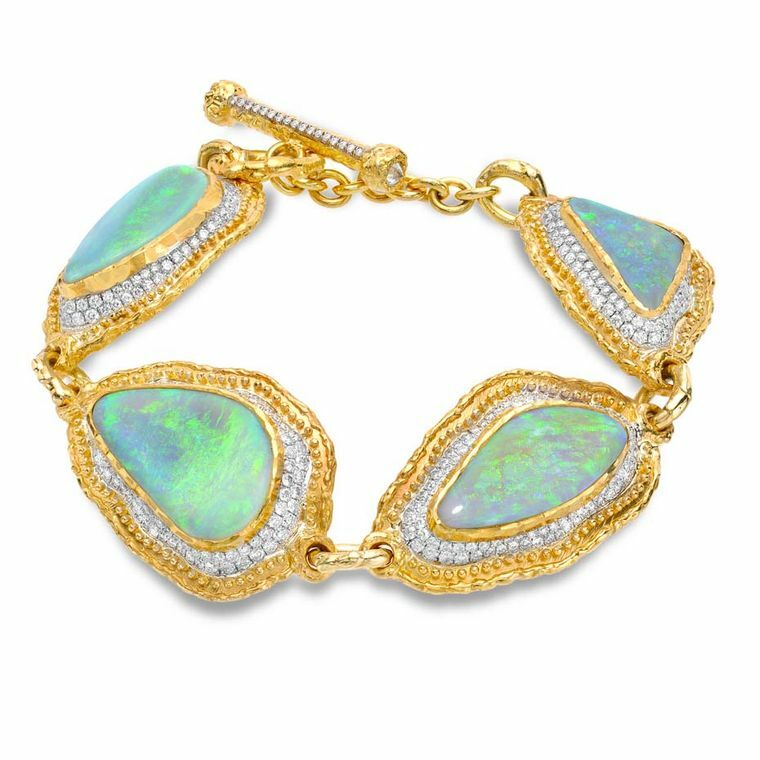 Victor Velyan’s jewelry is for women who aren’t afraid to make a statement. Take his jellyfish necklace, for example. 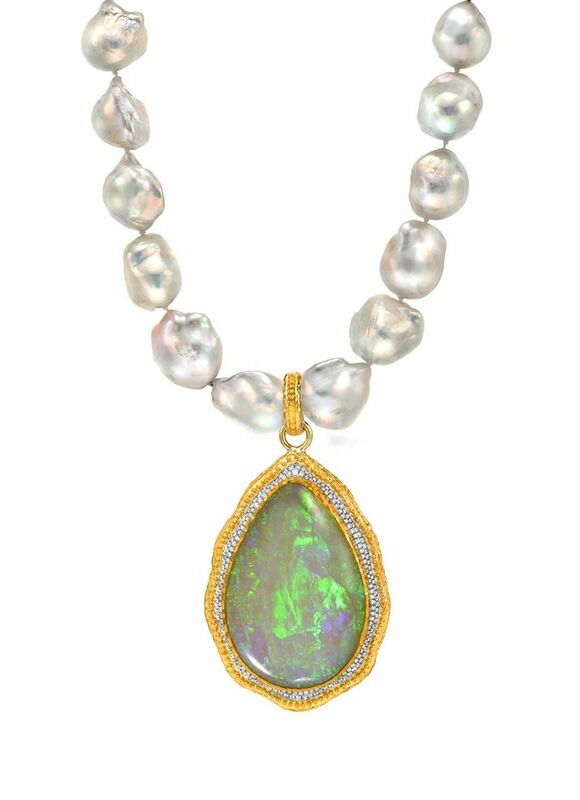 The latest in a series of wild, often poisonous, animal jewels, this sea creature, with its iridescent central blue fire opal, moonstones and long diamond and sapphire tentacles, is big, bold and with mesmerizing beauty. 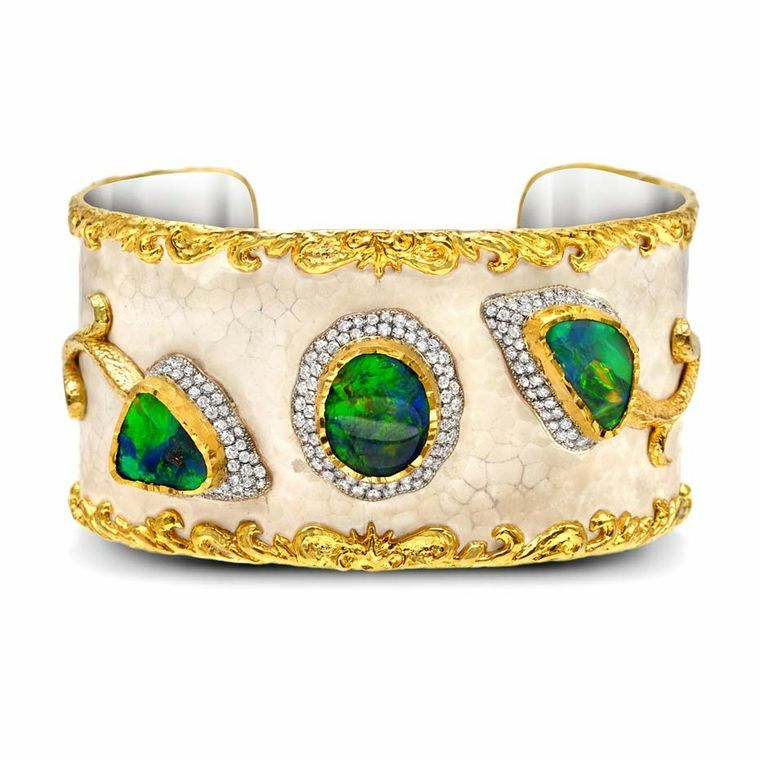 Even the back is full of detail, with a transparent boulder opal that only the wearer knows is there. Victor himself is a larger-than-life character. 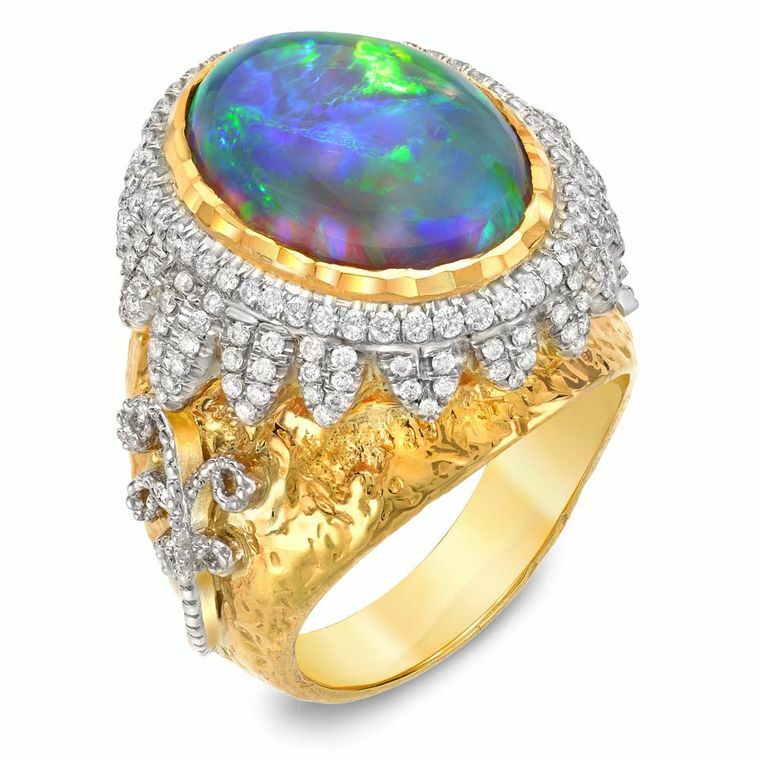 For a fine jeweler he took the unusual career path of starting out as an 80s heavy metal singer and then spending 12 years as an African safari guide – he still owns bush property in Zimbabwe – before finally settling down in the heart of Downtown Los Angeles’ jewelry district. He completed an apprenticeship before launching his own successful workshop creating jewels for other designers. Feeling dissatisfied creatively, however, he took the risk eight years ago to launch his own signature line and hasn’t looked back since. Victor now spends much of his time travelling the US – 210 days last year alone – to appear at trunk shows and meet with his dedicated fans. 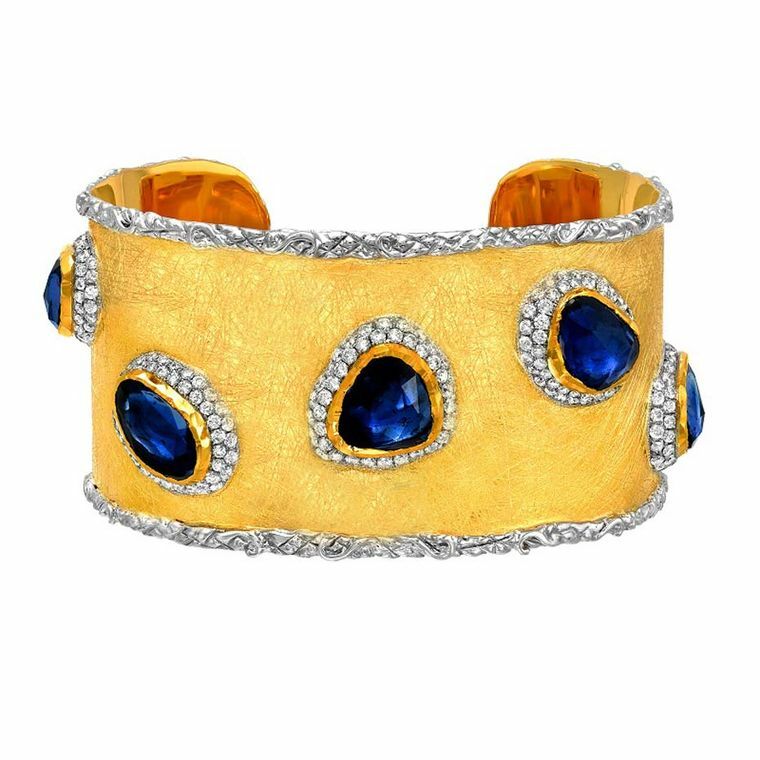 Everything is made by hand in his workshop – he calls technological developments in jewelry design the “dark side” – and he says he can’t actually make pieces fast enough for clients such as Neiman Marcus, the US department store chain. 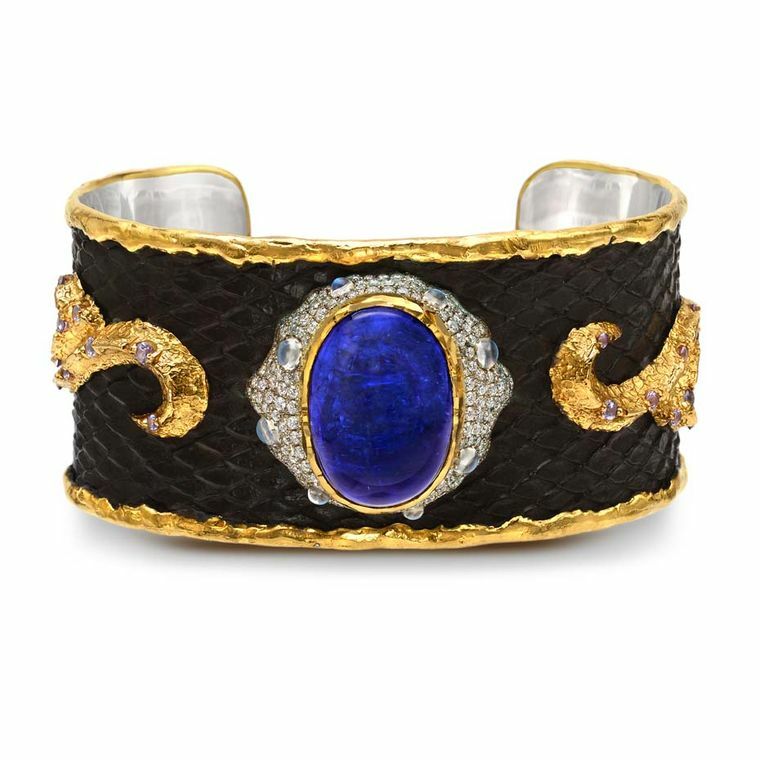 He is perhaps best known for the unique patina of his jewels, created by painting silver or gold with his proprietary blend of acid and metals including copper, iron and zinc. “I’ve always been fascinated by metallurgy: why is silver the color it is, why is gold yellow, how does 25% silver make gold white gold?” he says. He likens the patina process to wine making. 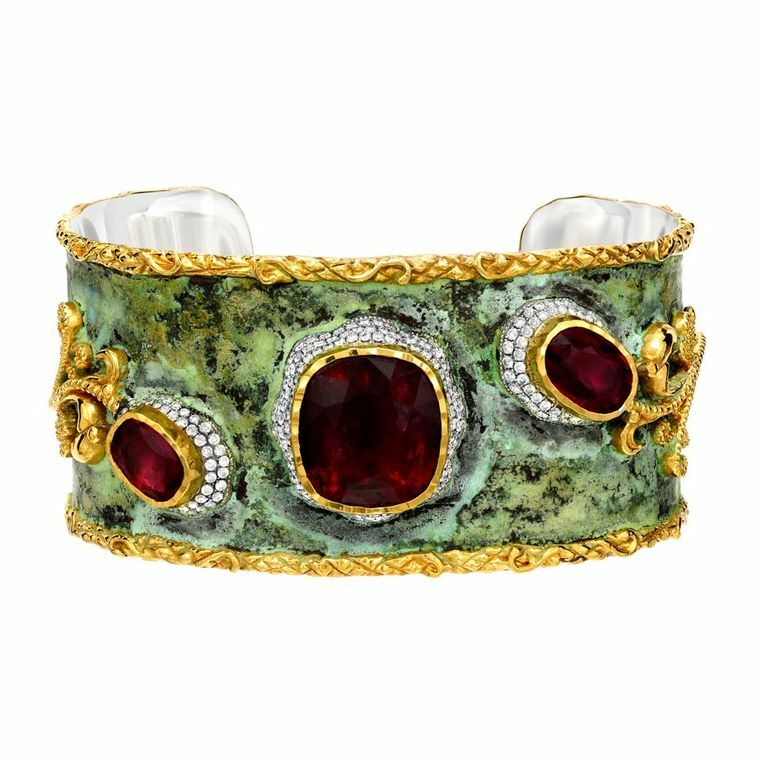 “I let the metal sit in an acid bath for up to a year and then watch the patina come to life on the jewelry after a couple of weeks,” he adds, pointing to the rich color contrast of mandarin garnets against a matt copper-green patina and tiny gold flower details on a cuff. Other effects create a white, brown or even blue patina. 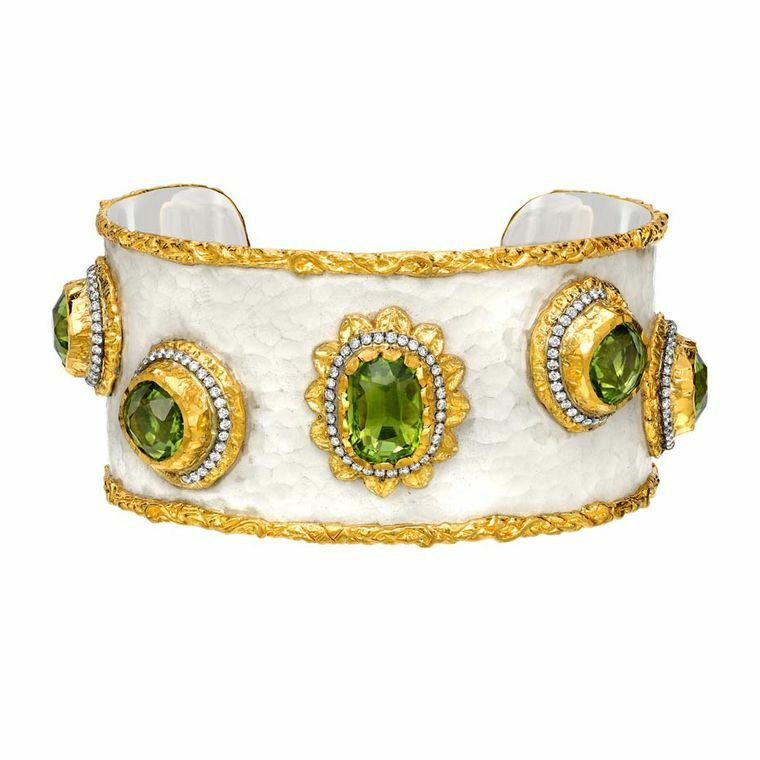 And while the outdoor life remains important to him, the Armenian-born designer says his greatest influences are old-world European art and architecture, perhaps explaining the intensely textured, antique look of his jewelry: “I love mother nature but I’m more inspired by other artists and by the possibility of a beautiful woman wearing my jewelry and showing it off,” he says. 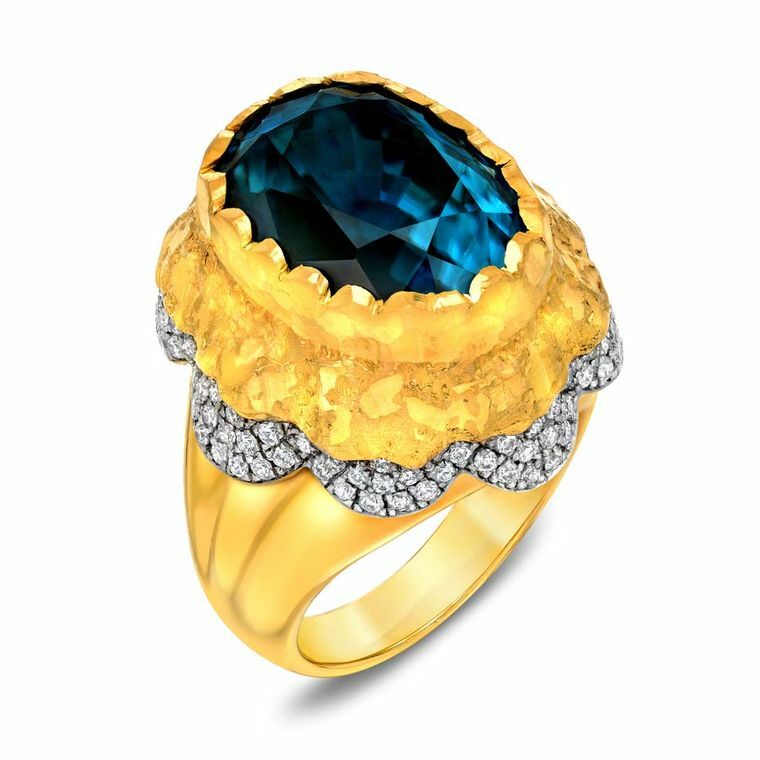 His other passion is for rare colored gemstones. 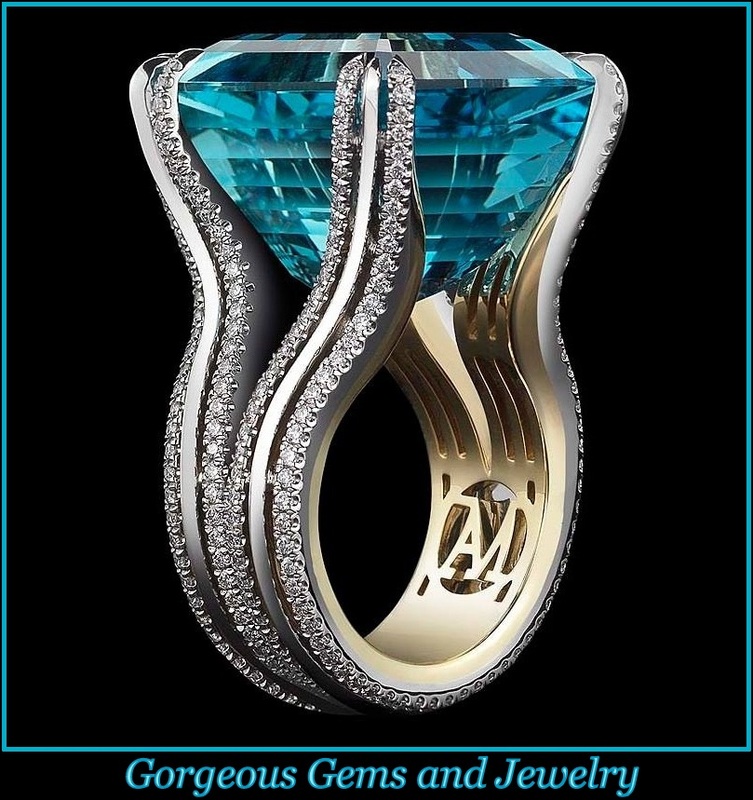 Favorites include fire opals, Paraiba tourmalines and the oldest mineral on earth, blue zircon. 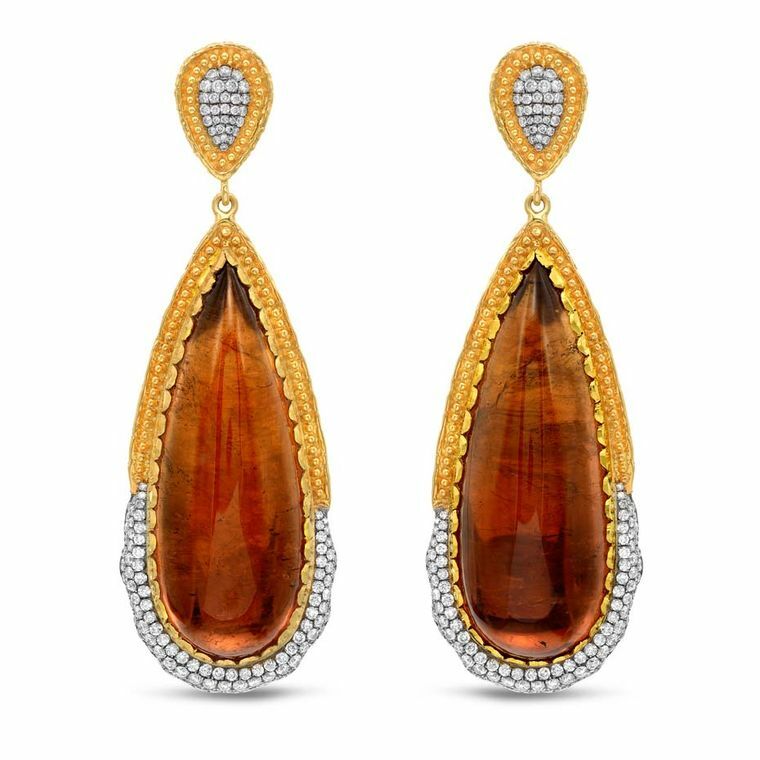 Never afraid to follow his passions, he picks stones and creates designs without a final price in mind, using 24 carat gold for its depth of color rather than its practicality. “I don’t design for what is going to sell. I design with the thought that someone is going to fall in love with it.” Fortunately for Victor, there are many out there who do. 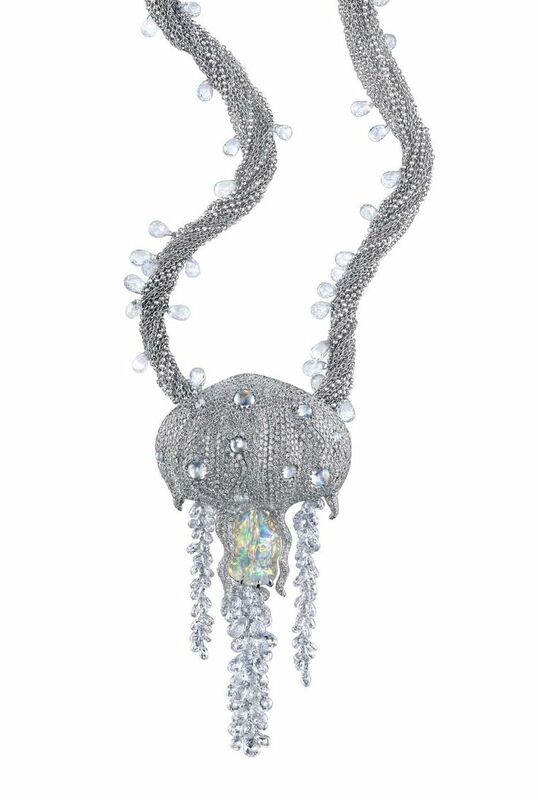 Victor Velyan white gold Jellyfish pendant with round diamonds, diamond briolettes, white sapphire briolettes, moonstones, blue fire opal and jelly opal.